Two cousins, Rory and Arden, lie unconscious in a hospital burn unit. The fire, which broke out in their shared college dorm room, killed another student, and the police want answers. Tension between Rory and Arden's parents was already at an all-time high before the fire, owing to a recent financial crisis and the decline of the family business. As the parents huddle anxiously in the waiting room, carefully avoiding the subject of their own unraveling relationships, disturbing truths come to light. This is the deeply moving story of a family's struggle to hold together while their secrets threaten to tear them apart. 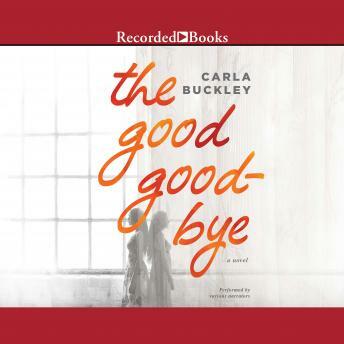 Carla Buckley is the author of THE DEEPEST SECRET, INVISIBLE, and THE THINGS THAT KEEP US HERE, which was nominated for a Thriller Award as a best first novel, and the Ohioana Book Award for fiction.